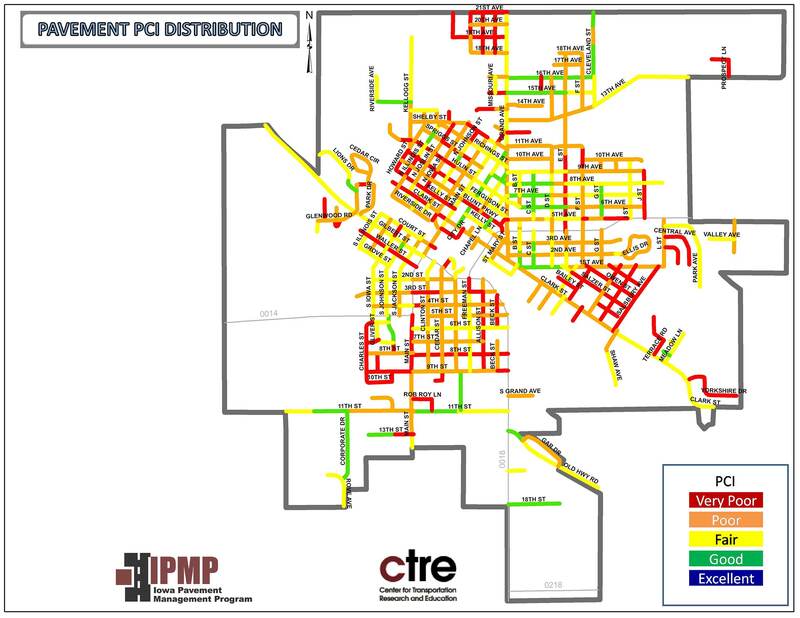 The Iowa Pavement Management System uses Deighton Total Infrastructure Management System (dTIMS™) software. dTIMS™ is produced by Deighton, a computer company specializing in asset management software. dTIMS™ offers a set of tools for implementing a custom database and custom analysis models that allow the user to customize the software to their own pavement and asset management needs. dTIMS™ can also perform life cycle analysis on those assets, looking into the future to determine the best maintenance action for each asset with regard to budget constraints. The dTIMS™ generates recommended projects by year, recommended treatments by project and year, and overall summaries of condition, backlog, treatment cost, and treatment length. The cost of dTIMS™ for local agencies in Iowa has been subsidized by the Iowa DOT and is $1,000 for the software itself and $1,000 per year for maintenance and updates on the software.